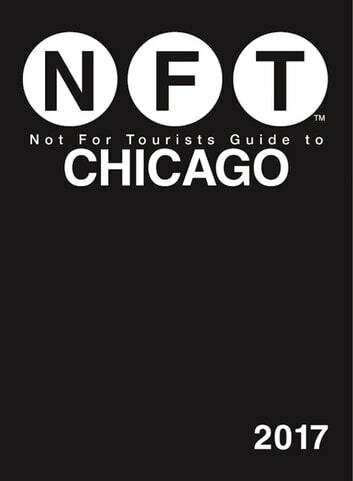 The Not For Tourists Guide to Chicago is a map-based, neighborhood-by-neighborhood dream guide that divides Chi-town into 60 mapped neighborhoods from Gold Coast and Lincoln Park to Wrigleyville and Lakeview. Designed to lighten the load of already street-savvy locals, commuters, business travelers, and yes, tourists too, every map is dotted with user-friendly NFT icons that plot the nearest essential services and entertainment locations, while providing important information on things like kid-friendly activities, public transportation, restaurants, bars, and Chicago’s art scene. It’s the only key to the Windy City that Rahm Emanuel can’t give you.